Brooks Builders was recommended to me by Brad and Ginia Johnston of Hometown Realty, who were the agents for the lot in Hunter Ridge in Greeneville where I planned to build my new home and for the sale of my old house. At the time they were having a house built by Brooks Builders and spoke highly of David Brooks and his team. I met with David and was pleased with his easy going way and his willingness to work with me on my “project”. David provided me with a basic cost estimate of the house plan I was considering. I felt it was a realistic and fair price and within my budget. 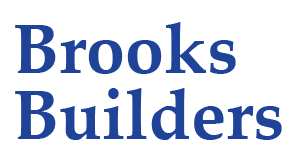 I did meet with a couple of other builders, but ultimately Brooks Builders was my choice-the price, and start date were good for me and most importantly I felt I would be able to work comfortably with David and his wife Holly and the Brooks Builders crew. The house was started on time and proceeded smoothly more or less on schedule. There was an onsite supervisor-my main point of contact during the construction-on the job every day. First rate materials were used and quality of construction was excellent. All my concerns and questions were address promptly; every pie-in-the-sky idea I came up with was taken seriously-some were discarded as not practical or too costly, after talking to David and/or his workers, but often times alternatives were suggested that filled the bill even better. 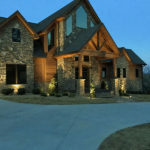 The desire to give me the custom house I was dreaming of was always at the forefront of the thinking from everyone at Brooks Builders. The house was completed within a reasonable time frame and more or less within the budget as originally agreed to. As with most home builders I did upgrade some things but saved on others where I could. The most important part of the process for me was that I felt good about the house as it was being constructed-I really enjoyed myself and was well pleased with the outcome. In the months since moving into my new home, Holly has followed up with me to insure any areas of concern are addressed promptly and to offer help with little handy man things that I need done. It’s an extra little step that I have appreciated very much. All in all, I am ready to do it again!! !